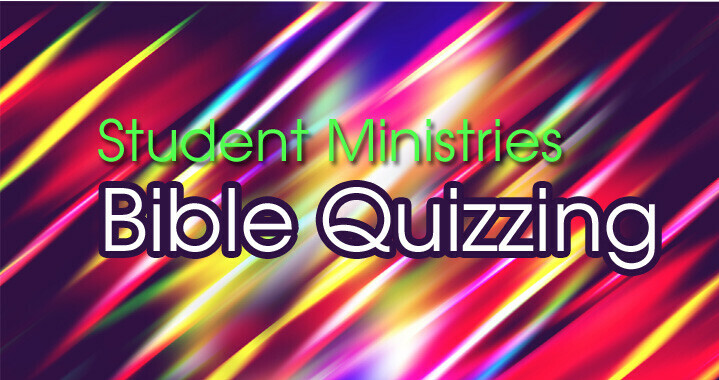 Bible Quizzing is a fun, competitive way for students to know God’s Word better. It meets during the school year. Each week you will study approximately one chapter from the book of the Bible being covered, and write & review questions to help you put them to memory. Then come to practice from 5-6:45pm on Wednesdays where we will have a Bible study of the current passage followed by practice quiz questions. See if you can out-jump your friends on the team to answer the question first. We participate in approximately 5 quiz meets during the year, traveling to compete with other teams. If you have questions or would like to be involved please contact the church secretary.